The filming of all three books was done together, non-chronologically. Below is a timeline of the known filming dates for the series. 3rd November 2016: The first read-through of The Cuckoo’s Calling script took place. 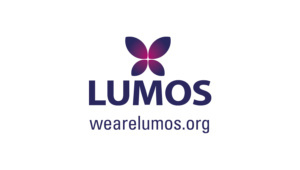 J.K. Rowling herself was present. 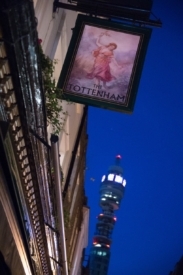 14th November 2016: Day one of filming, which took place at The Duke of York pub (The Tottenham), in Fitzrovia, London. Neil Blair on set as an extra. 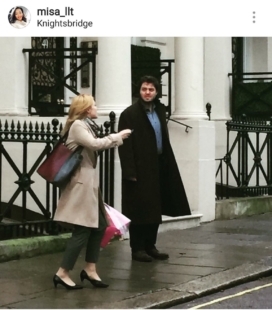 1st December 2016: Tom Burke was spotted filming scenes around Mount Street Gardens and Aldford Street and also on St Audley Street in Mayfair. 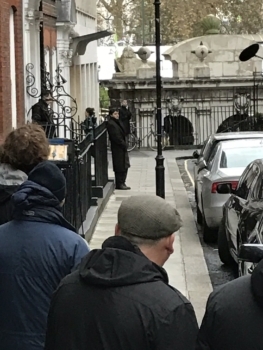 They were filming a scene where Strike is tailing Tansy Bestigui (Tara Fitzgerald) for episode 2 of The Cuckoo’s Calling. 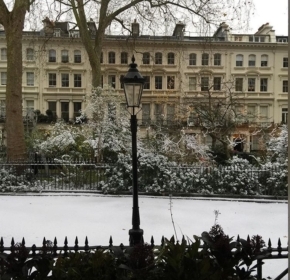 5th January 2017: Scenes were filmed for The Cuckoo’s Calling at the SOAS University library. 11th January 2017: Scenes that take place in Guy Somé’s studios were filmed. 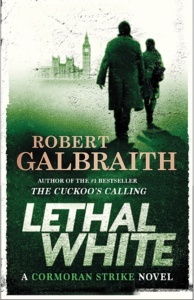 On that same day, they filmed in Cormoran Strike’s office. J.K. Rowling herself visited the set that day. 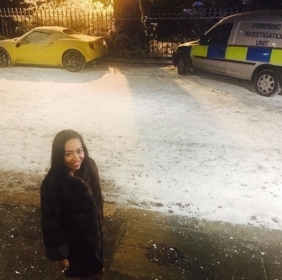 17th January 2017: They filmed on location in Barrow-in-Furness. 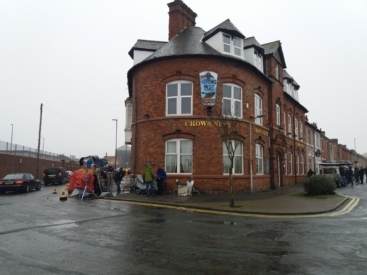 Scenes were filmed at the Crows Nest pub, which features in Career of Evil. 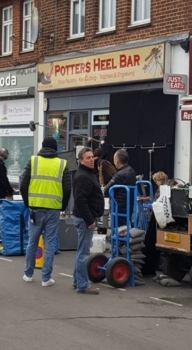 The video below is of the filming in Barrow, courtesy of Sheenah Alcock on YouTube. 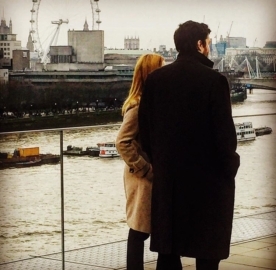 By early-to-mid-January, episode one of The Cuckoo’s Calling had been completed, according to a crew member. 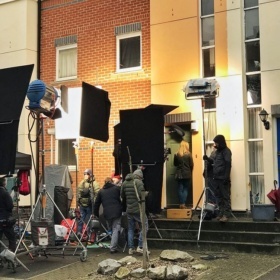 18th January: The Northern Echo released an article revealing that the cast and crew had been filming at a petrol station in Leyburm, Wensleydale. 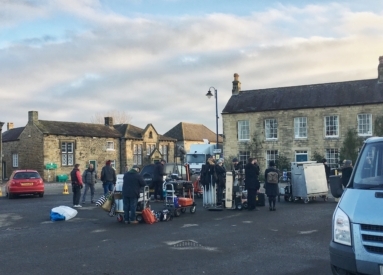 Holliday Grainger wasn’t seen, but Tom Burke was spotted filming at Leyburn Filling Station. 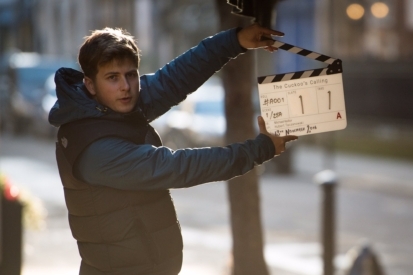 The crew, with around fifteen vehicles, were based at Tennants, where they took over the car park, though they weren’t seen filming there. 19th January 2017: Filming took place in the small town of Masham, North Yorkshire, for the Career of Evil episodes, before they headed back to London the following day. 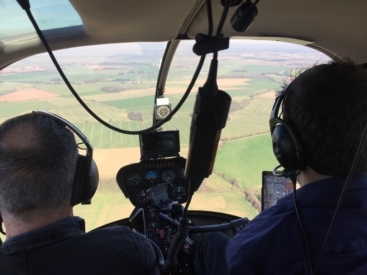 Read about our personal experience on the set in Masham in our three-part blog beginning here. Below is a scene where Strike arrives for the wedding in Masham. 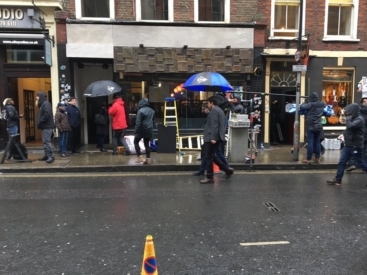 29th January 2017: A Cormoran Strike fan (@KatLeStrande on Twitter) spotted filming for the series on Denmark Street. 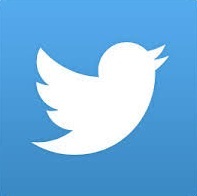 Below are a couple of the photos she took. Here are some more shots taken that day by the Daily Mail. For those of you who have read Career of Evil, look at the first photo below: Notice the motorbike courier standing to Robin’s left holding the box? 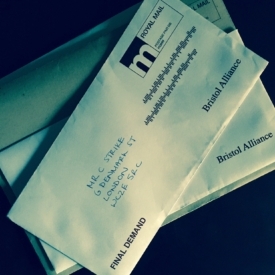 You know what’s in that box!! 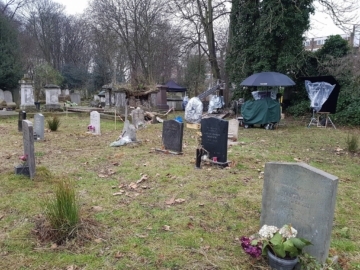 February 2017: In early February, the Strike Series cast and crew filmed scenes at Tower Hamlets Cemetery Park. 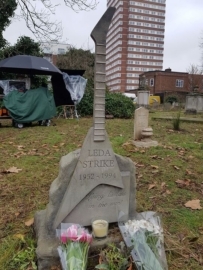 It was Andy Gibbons who brought this to our attention, Tweeting that they “filmed some of The Cuckoo’s Calling…” The shots of Leda Strike’s gravestone were posted on Tower Hamlet’s Facebook page. 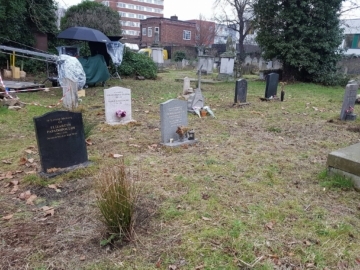 This is quite an interesting shoot, as Strike never visits his mother’s grave in the books, which makes it a new scene for readers. 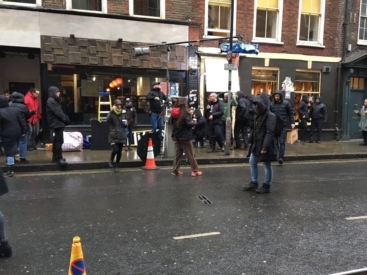 17th February 2017: Filming took place at Potters Heel Bar, High Street, between 10:30am and 2pm. Here’s a short article about it in the Welwyn Hatfield Times. 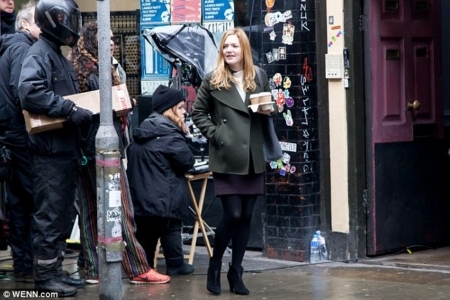 5th March 2017: Filming took place on Blondin Street, Bow Quarter, with Holliday Grainger. This is the street where Noel Brockbank is living with his girlfriend, Alyssa, in Career of Evil. 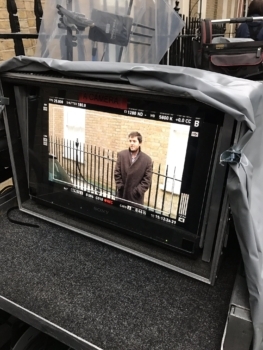 27th March 2017: Filming with Tom Burke took place on Denmark Street again. 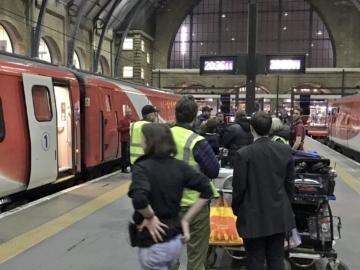 5th April 2017: The last day of filming. 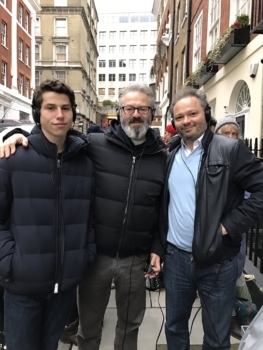 The last day of filming Strike. 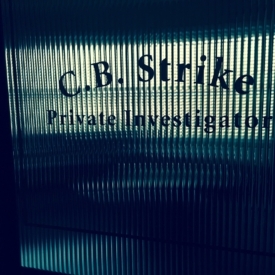 Back to Strike (TV Series) page. 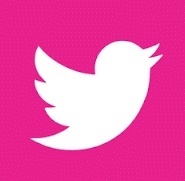 Go to Filming Locations page.